There is an enigmatic side to Geraldine de Tarr’s latest painting, which I find particularly enjoyable. I would not say that her work is now a puzzle to the viewer or that it is carrying a message, for that would be inaccurate, however, I find that these enigmas are strange, often amusing, and take your eye down secret passages of unusually bright color. So with this imaginative artist developing her unusual canvases you will take pleasure in investigating the adventurous paintings of Geraldine de Tarr. Just as you cannot write the same poem or novel twice, so de Tarr does not do series of paintings in the same mode. Her works are highly individual and each one has its difference. One glance at them is not enough! When de Tarr first came to Montparnasse from London, she was inspired by her love of the great French painters: Cezanne, Matisse and Braque. She worked in the ateliers and academies: Academie Julian, Goetz in the old Academie Lhote and after at Port-Royal; then with Schurr and later printing with Daderian and Ball. Visiting her studio looking out on the rue Notre-Dame-des-Champs this year, I found her new paintings, with their love of color, a true heritage of all these influences but with an added joie de vivre, which is innate in her character. In this exhibition, in an important, new, very international Galerie Art Montparnasse, de Tarr shows paintings from several periods and we can appreciate the liveliness of her line and her palette and the human element always present – which is, after all, very necessary for us in our digital world! 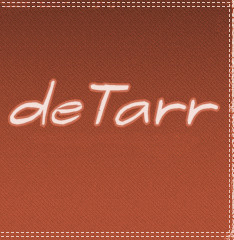 (c) 2006-2019 Detarr.com, All rights reserved.